Discover about life on the home front in Worcester during the Great War on this fascinating tour. We will introduce you to a cast of colourful characters from Sir Edward Elgar and Vesta Tilley, to Pte Dancox and Woodbine Willie. 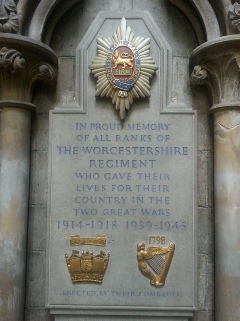 We will show you the buildings with their links to the war, how the women of Worcester pulled together to support our troops fighting on the front line as well as visit the memorials to those who never made it back to their faithful city.